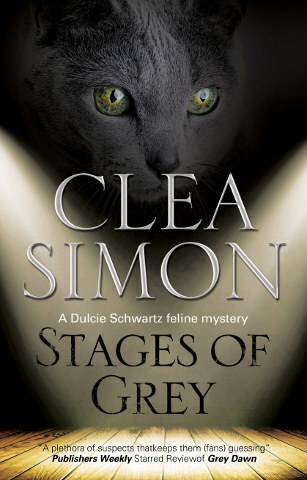 When Dulcie Schwartz stumbles across the body of Melinda Sloane Harquist, a visiting scholar whose upcoming book threatens to ruin Dulcie’s thesis and who she threatened to kill, in jest, just days before, it’s creepily reminiscent of the nightmares that have been waking her for the past week. 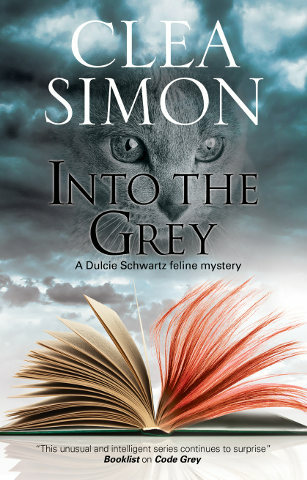 And with boyfriend Chris distant and preoccupied, and both the ghost cat Mr Grey and her kitten Esmé strangely cryptic in their advice, it’s up to Dulcie to prove herself innocent, before it’s too late . . . 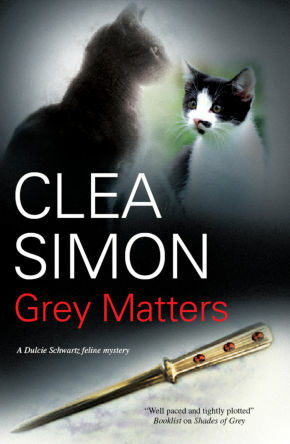 Things look bleak for cat-loving Dulcie Schwartz when she finds the body of an academic rival she threatened to kill just days before . . . 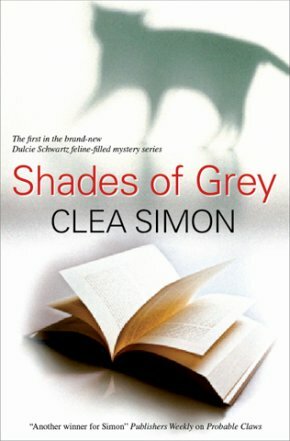 When Dulcie Schwartz stumbles across the body of Melinda Sloane Harquist, a visiting scholar whose upcoming book threatens to ruin Dulcie’s thesis and who she threatened to kill, in jest, just days before, it’s creepily reminiscent of the nightmares that have been waking her for the past week. 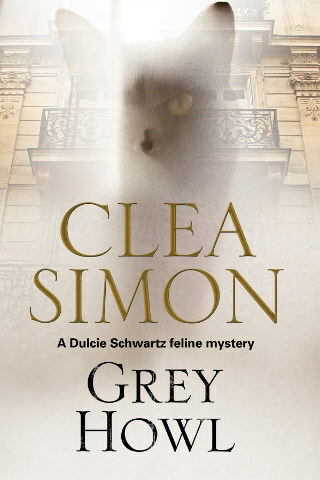 And with boyfriend Chris distant and preoccupied, and both the ghost cat Mr Grey and her kitten Esmé strangely cryptic in their advice, it’s up to Dulcie to prove herself innocent, before it’s too late . 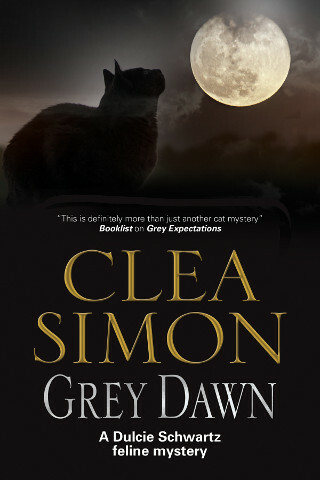 . .
An academic rival poses a threat to Harvard grad student Dulcie Schwartz in Simon's intriguing fifth paranormal cat cozy. 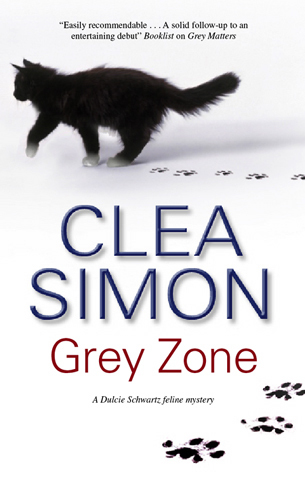 ... Dulcie turns for help to her usual supporters--her spectral cat, Mr. Grey; her telepathic feline, Esmé; and her boyfriend, Chris Sorenson. 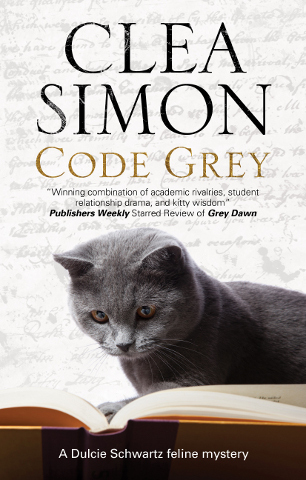 Simon... provides an authentic and appealing view of campus life. 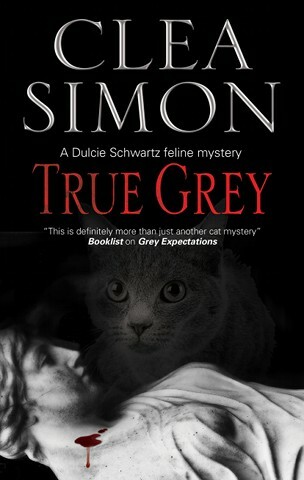 The best so far ... 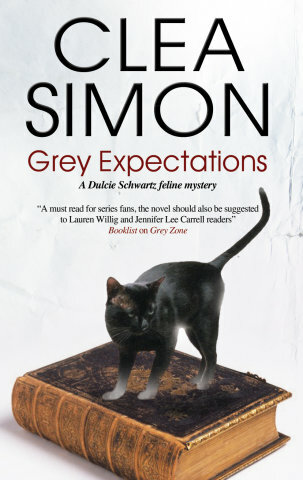 I especially enjoyed [the] little interludes with cats, but the whole book is fun.